Multiple-award-winner and rising theatre director Tara Notcutt will bring her production ‘Mafeking Road’ to Kalk Bay Theatre from August 15 to September 8. 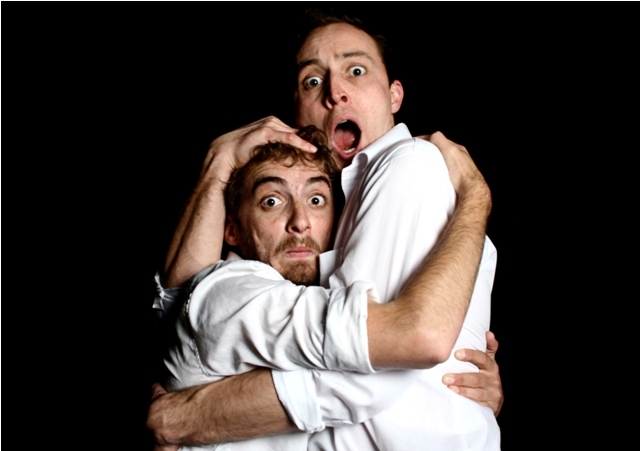 Featuring the stellar talents of Andrew Laubscher and Mathew Lewis, the production won a Standard Bank Silver Ovation Award for Physical Theatre at the National Arts Festival in 2011. Since the original version of ‘Mafeking Road’ premièred in 2010, the show has been performed to widespread acclaim at ten festivals and venues across the country, including the Herman Charles Bosman Literary Festival. ‘Mafeking Road’ is a whirlwind of much-loved Herman Charles Bosman stories, told in an exciting new format, using physical theatre and comic book styles. It brings popular stories such as ‘In The Withaak’s Shade’ and Willem Prinsloo’s ‘Peach Brandy’, in a way that has never been seen before. On a wild ride through the Groot Marico, Oom Schalk Lourens tells his tales of a world where a horse named Bertie, a leopard with many spots, and a pretty young girl fresh from finishing school await. Notcutt is a multiple-award-winning director and producer. Recently named as one of the Mail and Guardian’s Top 200 Young South Africans, she is also Artistic Director of The Pink Couch, which creates brave, original South African theatre. In 2011, Notcutt was invited to the prestigious Lincoln Center Theater Directors Lab to spend three weeks working with some of the world’s leading young directors in New York City. Lewis graduated from the University of Cape Town in 2009 with a degree in theatre and performance, specialising in acting. He is a co-founder of The Pink Couch with whom career highlights include touring The Couch’s debut production ‘…miskien’ to Amsterdam, Perth and to New York next year. Laubscher, another graduate of UCT’s Drama Department, has made his mark on the Cape Town theatre scene as an actor of impeccable timing and precision. He has performed lead Shakespeare roles at Maynardville Open-Air Theatre, is part of The Mechanicals and is a long time friend of The Pink Couch. Some of his roles include Octavius Caesar in ‘Antony and Cleopatra’, ‘Loveborg’s Women’, for which he received a Fleur Du Cap nomination, Mike van Graan’s ‘Is it because I’m Jack’ and Eric and Brian Kaplen in ‘Mrs Kaplen and the Witchdoctor’, which toured to Prague and Romania. * There is ticket special of R75 (or R225 with a 2-course meal and R275 with a 3-course meal) on August 16, 22 and 23. Tickets for all other shows cost R95 (or R245 with two-course meal and R295 with three-course meal). For all bookings and for more information, visit www.kbt.co.za.